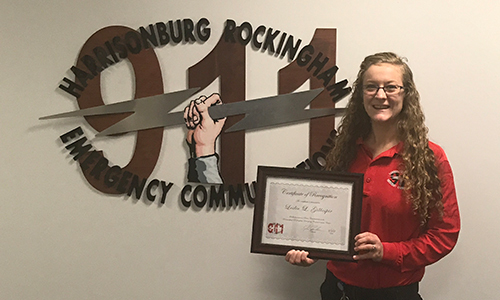 The Harrisonburg-Rockingham Emergency Communications Center (HRECC) is pleased to announce new staff promotions. The HRECC extends our congratulations to Chad Siever and Michael Sherman on their promotions to Operations Team Managers. Michael will be assigned to the ECC’s A & B shifts and Chad will work with C & D shifts. We look forward to their success in these new roles! The HRECC sends our congratulations to Lauren Hall, Jonathan Pierantoni and Jessica Sonifrank on their recent promotions to Senior Communicator. Thanks for their hard work and dedication to the citizens and public safety providers in our area. Great job to all! 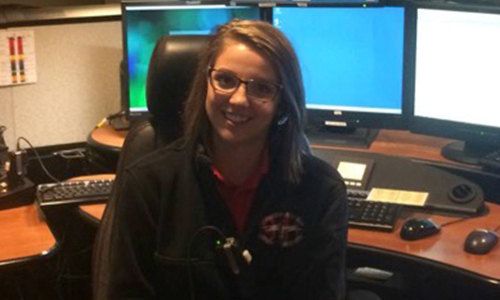 The Harrisonburg Rockingham Emergency Communications Center is pleased to announce the promotion of Kenzie Herring as the new B-Shift Supervisor! 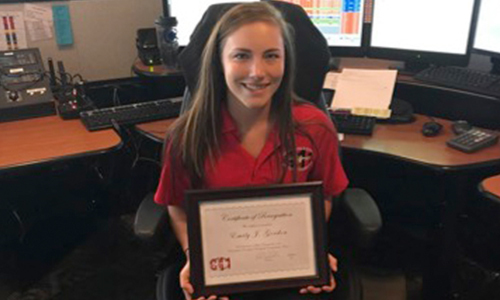 Kenzie joined the HRECC team in July of 2013 and was promoted to Master Communicator in January of 2016. 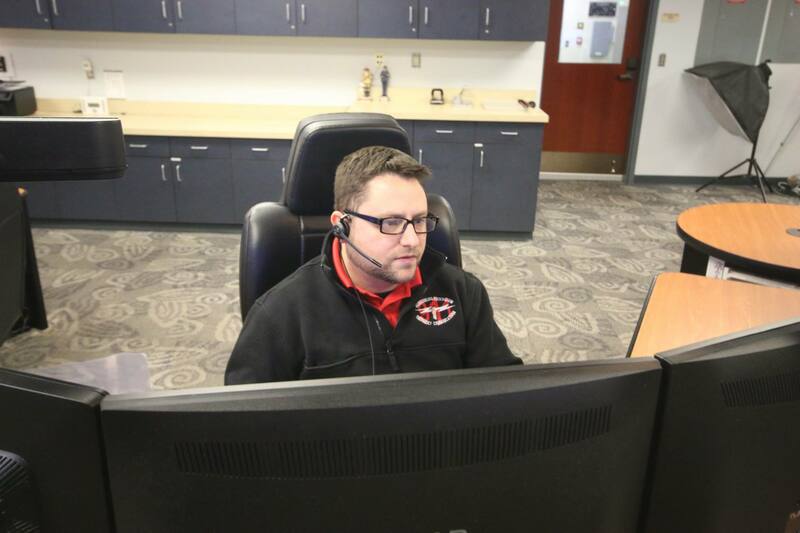 Kenzie also serves on the HRECC Telecommunicator Emergency Response Team and is a member of the Virginia Communications Cache Team. Kenzie has a wealth of knowledge in her field and we are excited about her new role in the HRECC. Please join us in congratulating Kenzie on her promotion! Please join the staff of the HRECC as we congratulate Anna Miller on her promotion to Senior Communicator. Anna’s passion for her work, coupled with her pleasant and professional personality, make her a valuable member of the ECC. The HRECC is proud to congratulate Alan Pineda on his promotion to Senior Communicator. Alan is a vital member of the ECC operation and his bi-lingual abilities are a special resource for our diverse community. 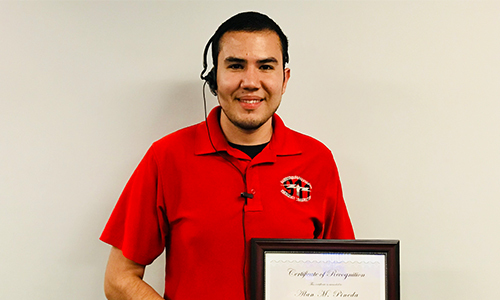 Communicator Pineda has worked hard to establish his career and gain this promotion. We are very proud of his success and appreciate his efforts. Congrats Alan! It is with great pleasure that we announce Senior Communicator Carenda Strawderman as our newest member of the HRECC training team. 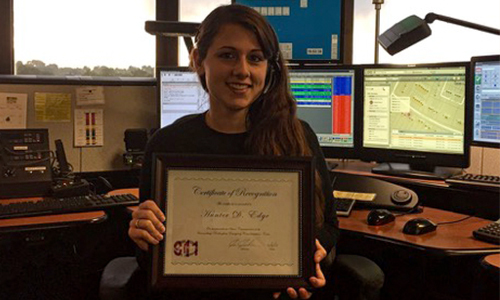 Carenda was selected as the top prospect for a communications training officer (CTO) position and will begin training in her role immediately. Carenda brings a wealth of knowledge, great attitude and a work ethic hard to meet to our team of trainers,” said Dee Dee Sencindiver, Operations Manager. “We are extremely excited to have her as part of this elite team of employees who work hard to build the future of the HRECC” added Sencindiver. Congratulations to Carenda on her success! The staff of the HRECC is happy to announce the promotion of Leslie Gillespie to Senior Communicator. Leslie’s addition to the staff has resulted in adding an enthusiastic, empathetic and sweet person. She is quick to help others and has been very proactive with her recent training. We are happy to have her as a part of our team and look forward to her continued success. Please join the ECC as we congratulate Camry Bennett on her promotion to Senior Communicator. 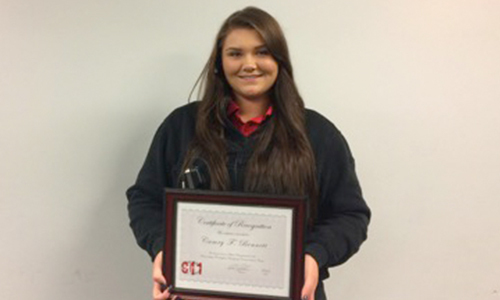 Camry brings a great level of enthusiasm and compassion to the HRECC team and we look forward to her continued success. Please join the ECC as we congratulate Emily Gordon on her promotion to Senior Communicator. Emily’s intelligence, coupled with her drive for success, have been a winning combination for her achievement. We are happy to have her as a part of our team! Please us as we congratulate Mollie Mace on her promotion to Senior Communicator. 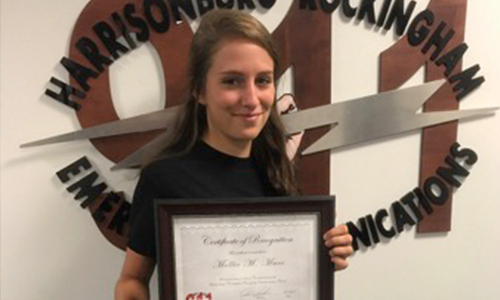 Mollie’s love for her job and pleasing personality are welcomed additions to the ECC. Her work ethic and enthusiasm have been driving forces behind her success. Congratulations Mollie. We are happy to have you as a part of our team! 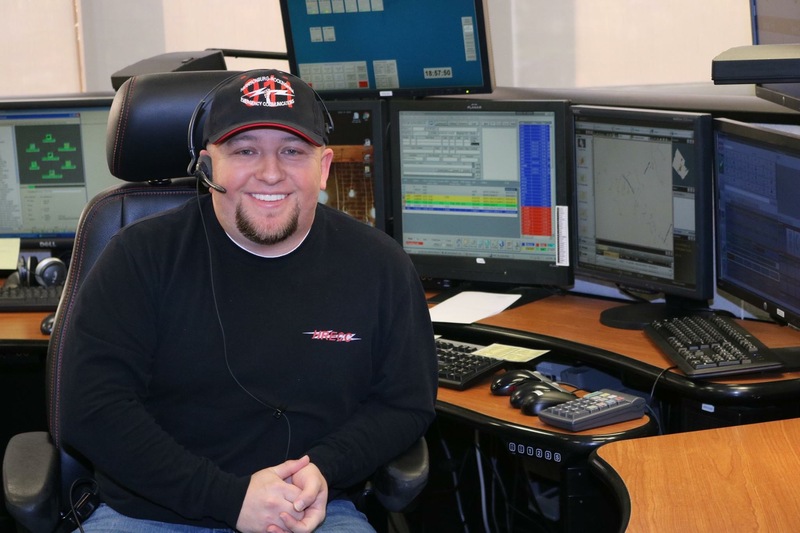 Please join the ECC as we congratulate JD Duncan on his promotion to Senior Communicator. 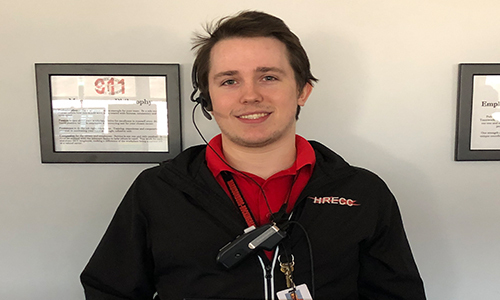 JD is a great addition to the ECC staff and we appreciate his desire to learn and excel in the ECC, along with his great attitude and sense of humor. Thanks to JD for all of his hard work! Please join the ECC as we congratulate Brittany Sheffer on her promotion to Senior Communicator. Brittany has completed 2 specialties and approaches her work in the ECC with the desire to do well each shift. Thanks to Brittany for her hard work. Please congratulate Stephanie Duncan on her promotion to Senior Communicator. 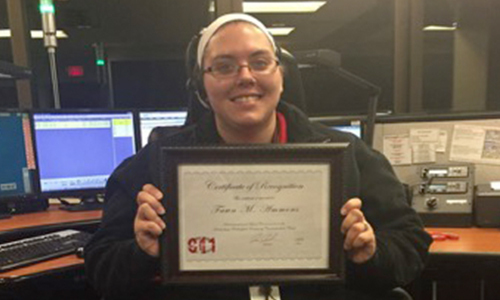 Stephanie has excelled in her work as a F/R radio operator and call taker and is a welcome addition to our staff. 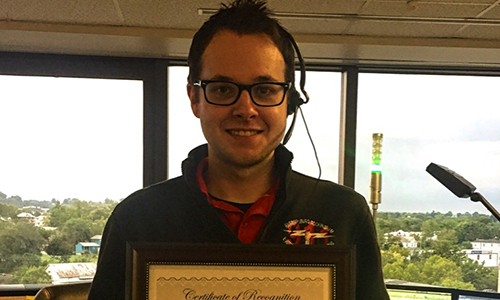 Congratulations to Senior Communicator Duncan! 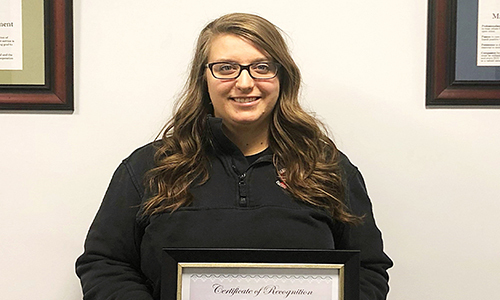 Please join the ECC as we congratulate Hunter Edge on her promotion to Senior Communicator. Her hard work and dedication to the HRECC is appreciated and recognized. Please join the ECC as we congratulate Claire Foerster on her promotion to Senior Communicator. 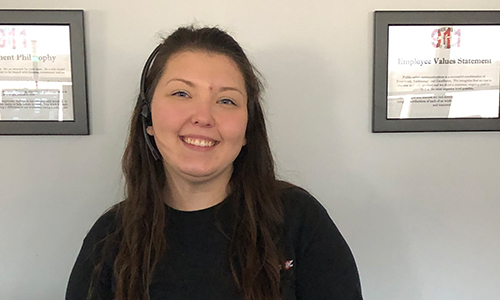 Claire is demonstrating her abilities to serve as a vital part of the ECC and has built her skill level during her first year of employment here. 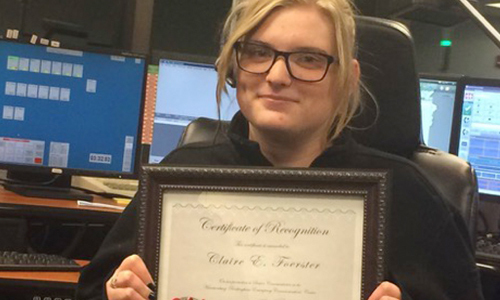 Congratulations to Claire on her success! 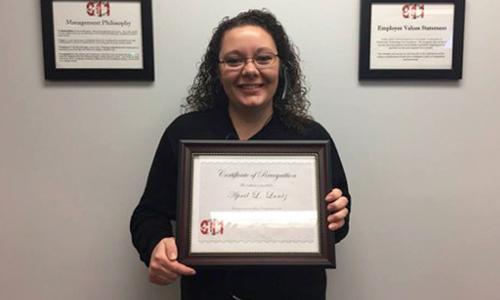 Congratulations to April Lantz on her promotion to Senior Communicator. April is a great addition to the ECC with her upbeat personality and smiling face. We are lucky to have the type of employees who are here for the “right” reasons. Please the ECC as we congratulate Fawn Ammons on her promotion to Senior Communicator. Fawn is serving as a vital part of the D shift team and was recently commended for her actions during a high priority event. 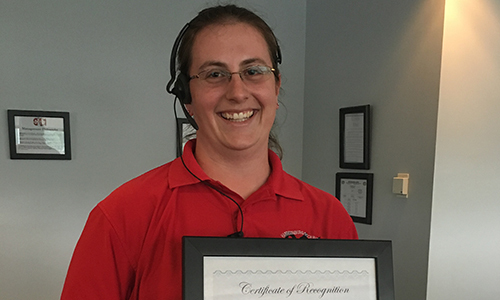 VSP Wythville passed along their thanks to Fawn for her work in assisting with a person who had a gun to their head. The described Fawn’s work as “amazing” and noted that “she did everything she could” to help them. These are marks of someone deserving of a promotion to Senior. 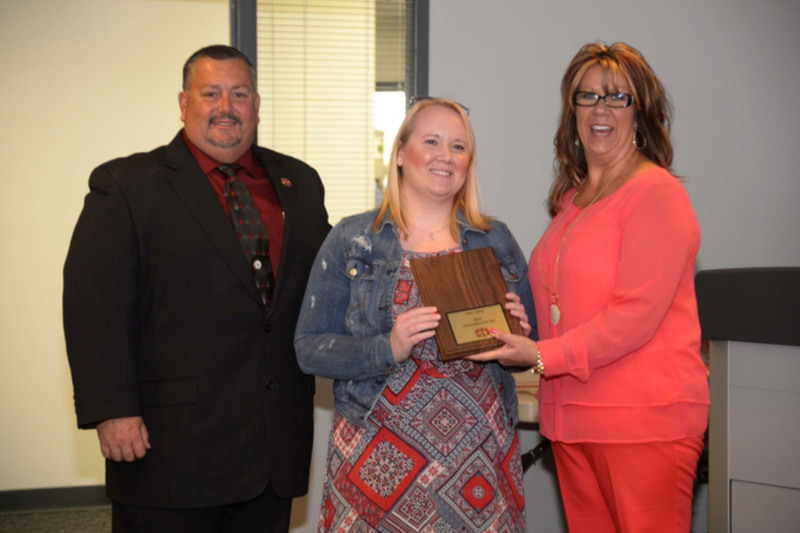 Fawn, like all of you, proves she makes a difference in the world with her work in the ECC. Congrats to Fawn on her accomplishment. 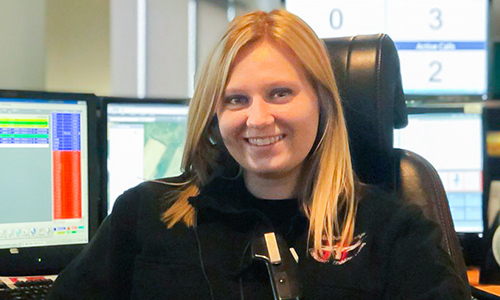 Alyssa began her career in emergency communications in 2011 and since that time has excelled in all aspects of her job. 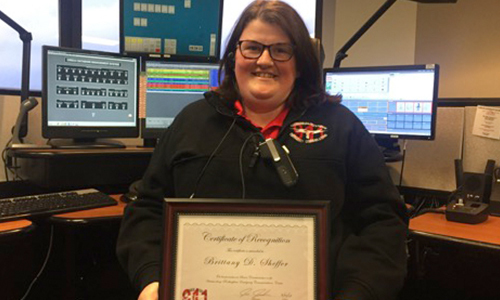 She currently serves as a certified training officer providing high level instruction to newly hired ECC employees and she is a member of the Telecommunications Emergency Response Team (TERT) and the Virginia Communications Cache. 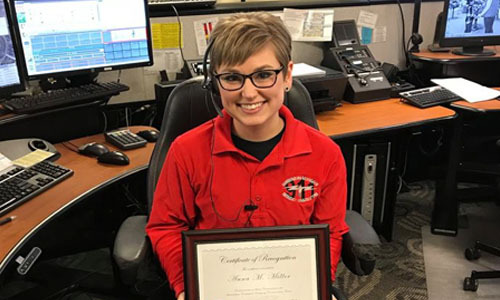 Alyssa was named the 2015 HRECC Communicator of the Year for her unselfish approach to her job and the high level of service she provides to the citizens and public safety providers in our area. 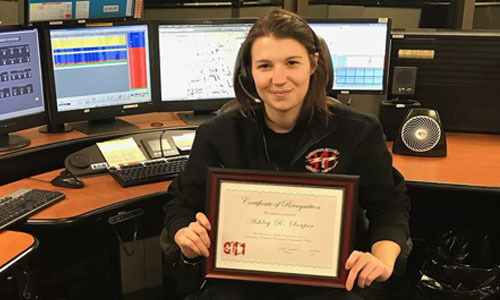 As Master Communicator, Hottinger will serve as the assistant shift supervisor of her assigned shift and will provide daily oversight to her group of employees. “We are very proud to have Alyssa as a part of our management team,” said Jim Junkins, HRECC Director. “Alyssa will bring a great attitude and new ideas to this position,” added Dee Dee Sencindiver Operations Manager. Hottinger’s promotion is effective October 30, 2016.